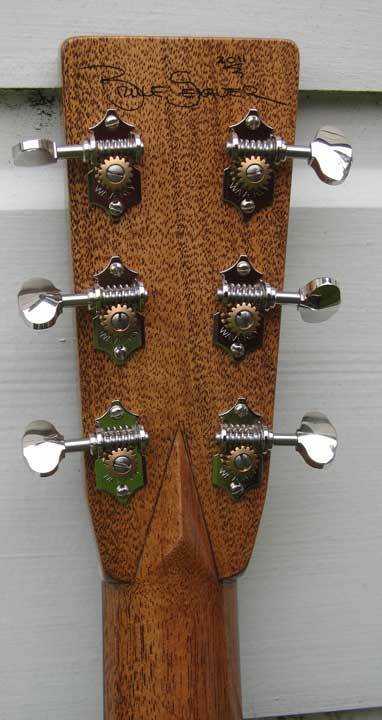 The second of a pair of traditional (1931ish) "OM"s I made for the sake of direct comparison. 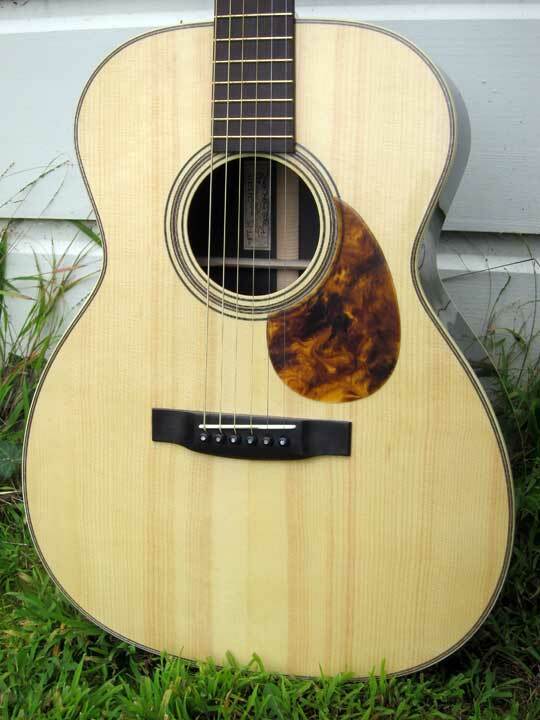 They are close to identical with the major exception be that the other is topped with Adirondack Spruce, while this one is topped with Engelmann Spruce. 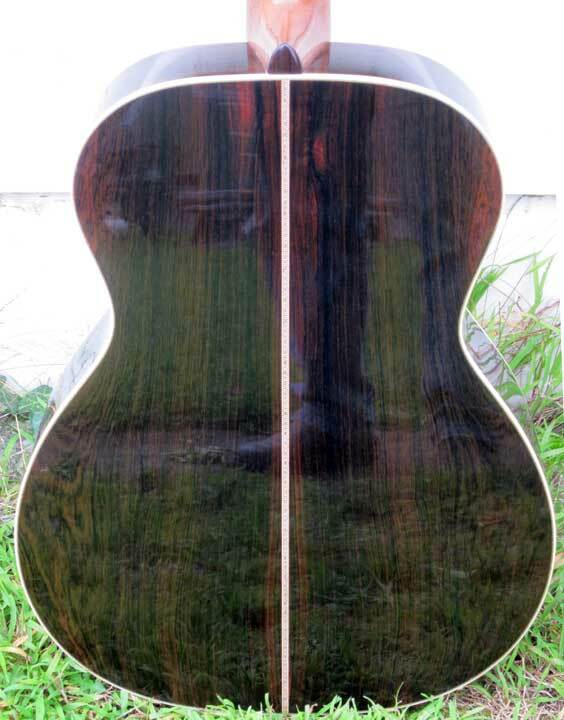 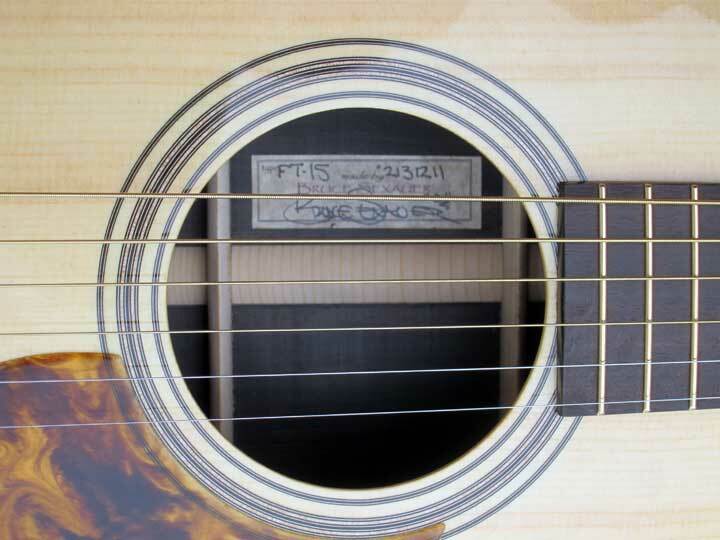 The back and sides are Brazilian Rosewood with Ivoroid binding and ebony finger board and bridge. 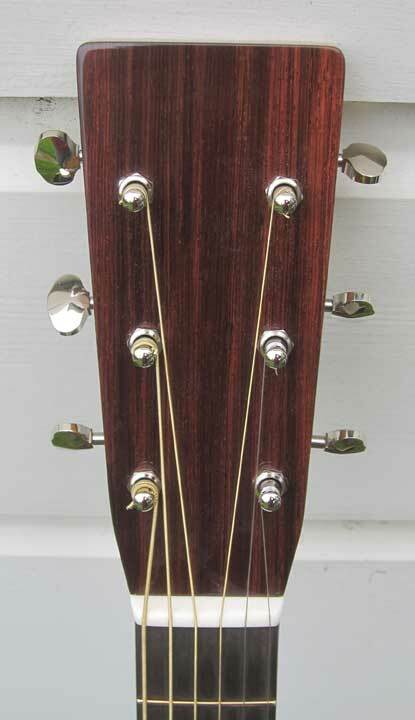 Honduras mahogany neck with truss rod, and waverly tuners in both cases. 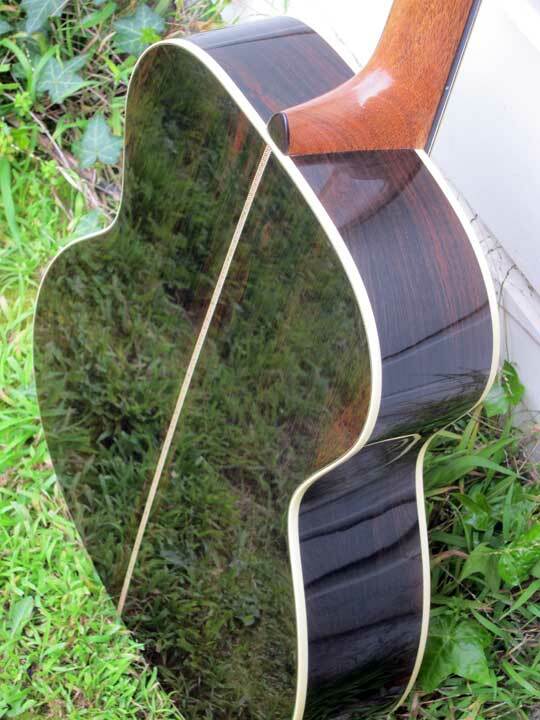 Both are completely successful, the the Adi being a bit dryer/cleaner (as expected), and this one being fantastically lush with great sensitivity and no apparant lack of head room, which is wondrous considering how easy it s to get this guitar going.